The dominant commercial force in Pomerol and St Emilion is the negociant company of Jean-Pierre Moueix. They own a clutch of prime wine estates, have exclusive distribution rights for a further selection and have worked assiduously to promote the lesser lights of the region and its associated appellations. World-renowned names such as Château Pétrus, Trotanoy, Magdelaine, Lafleur and Lafleur Petrus feature in their portfolio, but one of the less known properties is La Fleur Gazin, situated appropriately between two heavyweights in Lafleur and Gazin. 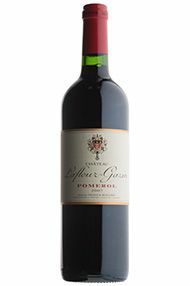 Pomerol is renowned for producing wines of lush richness, with the fleshiness of the Merlot grape balanced by the firm acidity of the Cabernet Franc to produce wines which, while easy to enjoy young, nevertheless have the capacity to age. Pomerol is a tiny appellation and demand is high, so the effect on prices needs little imagination to calculate, but wines such as this still represent good value as they have yet to scale the lofty heights enjoyed by their better-known neighbours. 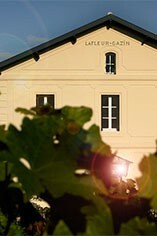 The La Fleur Gazin vineyards are planted with a typical Pomerol mix of 80% Merlot and 20% Cabernet Franc. After fermentation the wine spends 20 months ageing in oak barrels, 25% of the barrels are new, each year. Notes of ripe forest fruits and vanilla set the scene for this lovely Pomerol. The palate is deep and rich with plenty of body and ripe fruit. There is a mineral edge too, reminiscent of the great wines of the Graves, and this adds to the complexity. The finish is long and very well-balanced.